Steve Kantner is a former guide and outdoor communicator who entered the fishing business afte stepping off his local canals banks. Steve’s cameo enterprise, Landcaptain, Inc., takes its name from how he guided customers on foot—and from the seat of his car. A South Florida fixture for over 50 years, Kantner has walked (and fished) practically every foot of surf, pier and canal bank that’s accessible to anglers on foot. After starring in various television productions— ones that showcased his unique approach to fishing—and hosting a drive-time radio show― Steve decided to become a full-time writer. He later added fly casting instructor, seminar promoter and eventually, an editor whose by-line has appeared in Salt Water Sportsman, Florida Sportsman, Fly Rod & Reel, Fly Fishing in Salt Waters and other popular publications. 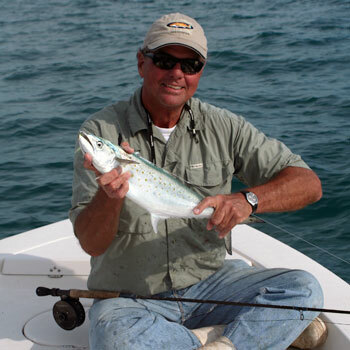 He has also written for the South Florida Sun-Sentinel, and was once the assistant editor, as well as editor-at-large and opinion columnist for Florida Fishing Weekly. Stackpole Publishers recently released Steve’s latest endeavor: Backcountry Flies; From Swamp to Surf. This follows in the footsteps of his The Ultimate Guide to Fishing South Florida on Foot (also from Stackpole). In addition, he wrote the history chapter for Andy Mill’s landmark A Passion for Tarpon (Wild River Press), and collaborated with Tom Greene on A Net Full of Tails. His most recent book, Fifty Women Who Fish, a lavishly-illustrated table-size book from Wild River Press that was published in the spring of 2019. Steve is widely regarded as THE “walk-in expert.” In sharing what he’s learned with others, he adds practical knowledge to scientific perspective—thanks to a degree in science―along with a dollop of humor. The result, he hopes, will enlighten his readers not only in the art of finding fish, but also how-to catch them.